It’s the Weekend… Where to run? Weekend runs are my favorite. They’re typically my longer runs and it gets me started in the right direction for being productive when I get up on a Saturday and get a nice long run in. I wouldn’t say I have a go-to weekend run spot since I try to mix it up a bit, but I do have those times when I can’t decide on what sounds good. Sooo… if you’re like me and just end up running a familiar route because nothing comes to mind, here are a couple of suggestions to consider. 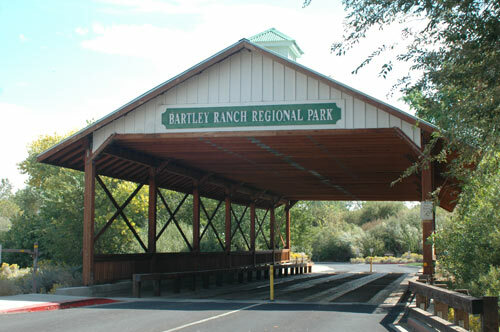 Bartley Ranch is a 117 acre park that includes a “regulation-size equestrian arena and warm-up arena, the Robert Z. Hawkins Amphitheater, the Western Heritage Interpretive Center and the restored Historic Huffaker School”. 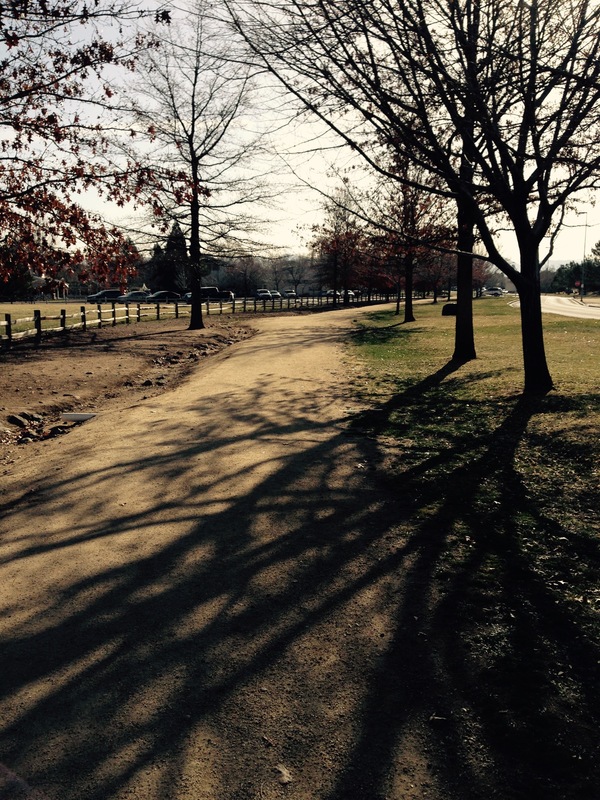 The park has three different trails to explore: the Flume Trail, the Quail Run Trail, and the Ranch Loop Trail. 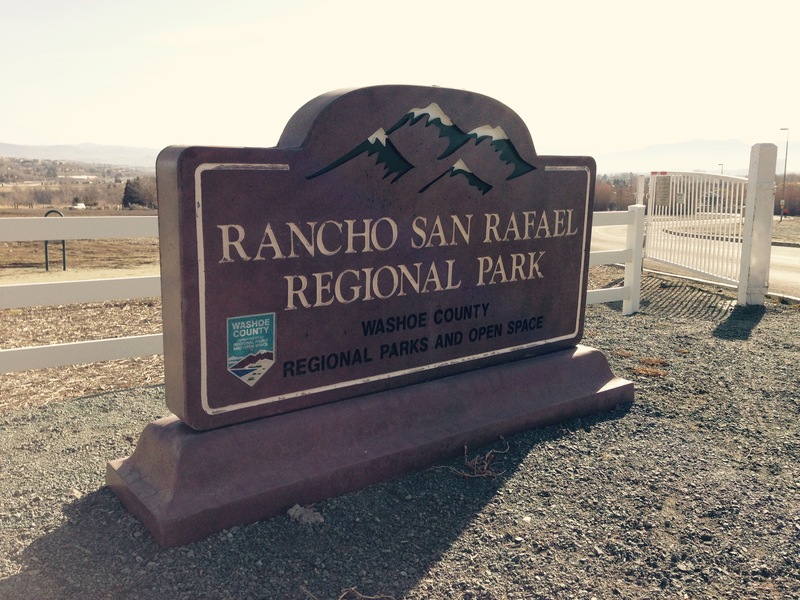 However, only the Ranch Loop Trail is typically permitted for runners given the Flue Trail and Quail Run trail are fairly short and used more for hiking and used for interpretive panels by Washoe County to discuss ranching history and the local flora and fauna to visitors. 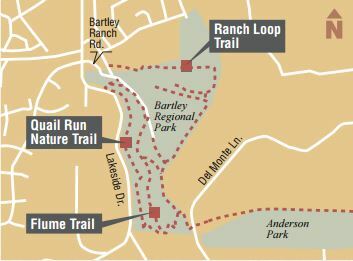 The Ranch Loop Trail is approximately 1.5 miles in length but is connected to the nearby Anderson Park trail which is about 2 miles in length. Both trails are really flat, which is perfect for a nice long run if you want to run a loop for both trails a couple of times. There isn’t much shade cover for the Anderson Park Trail, so I wouldn’t recommend it if you are adverse to high temperatures, but for a nice weekend Spring run, it is pretty nice… especially early in the morning. Horseman’s Park is located on Skyline Blvd about a ½ mile up from Moana Lane. This trailhead is a part of the 43 mile long Steamboat Ditch Trail. This trail spoils just about any runner giving amazing view of Reno while offering a pretty flat run. I typically run about 2 miles out from the trailhead just off Skyline Blvd and turnaround providing a nice 4 mile run, but you can run as much or as little of this run on the Steamboat Ditch Trail that you want. It’s a good course for group runs or just running with a friend as well as mountain biking. 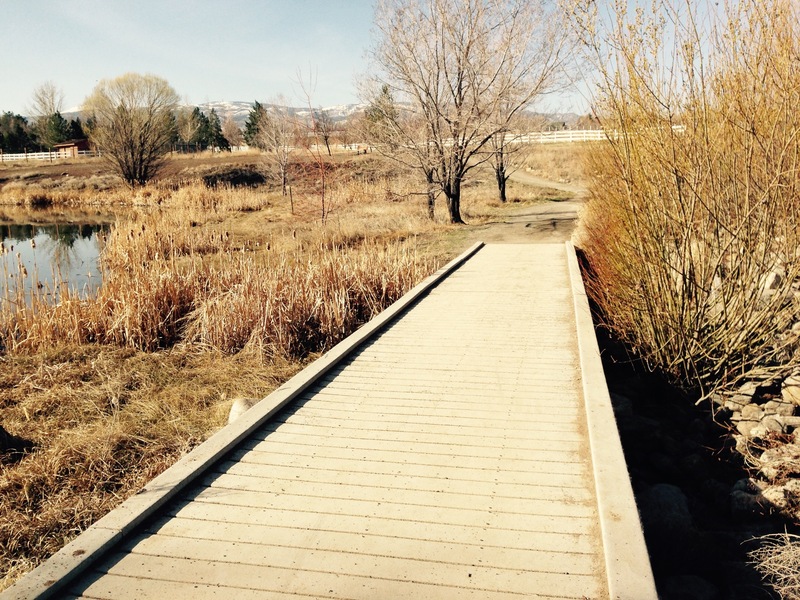 This weekend was another beauty in the Reno area with unusually warm temperatures. In fact, the high got up to about 68 degrees, which is just a little bit ridiculous for March. However, it was a nice day for my Saturday run and I was able to get an early start, so it didn’t turn out to be too hot. 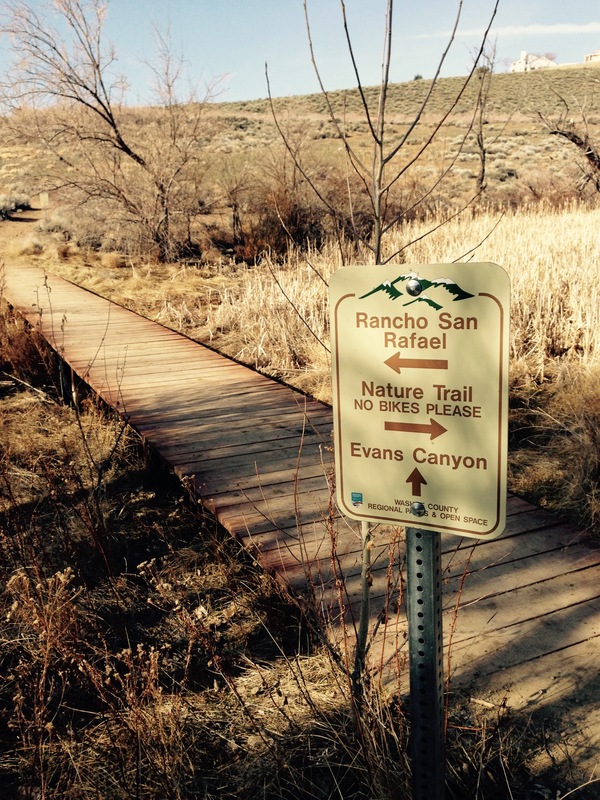 I decided to run a familiar route up in Rancho San Rafael Park and also run a portion of the Evans Canyon Loop. I used to run through the park a lot and up the Evan Canyon Loop trail, but hadn’t been there in forever, so in an effort to get out of the rutt I’ve been in lately with my running routes, it was definitely time for some new scenery. 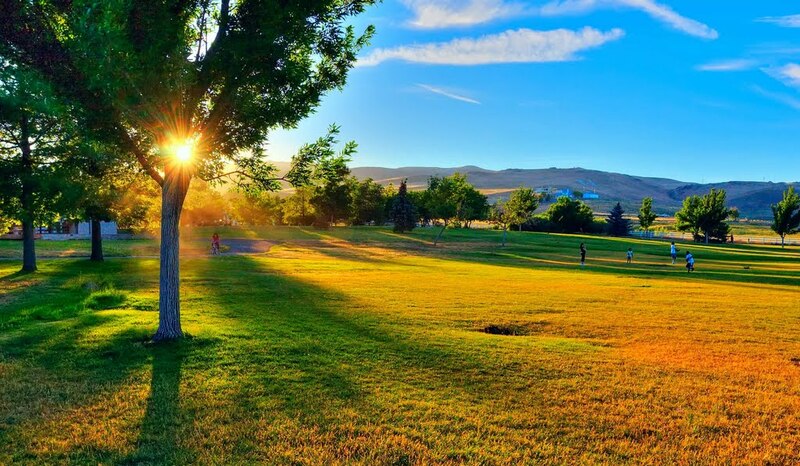 The park is a former ranch that is now a recreation area managed by Washoe County. Some of the highlights of the park include various recreation facilities, picnic areas, a museum, botannical gardens, and a dog running area. It is on the corner of North McCarran Blvd and Sierra Street within walking distance of the University of Nevada, Reno. My favorite thing about the park is the fact that it incorporates so many different running/walking paths throughout the area, while also having easy accessibility to some more challenging trail runs. 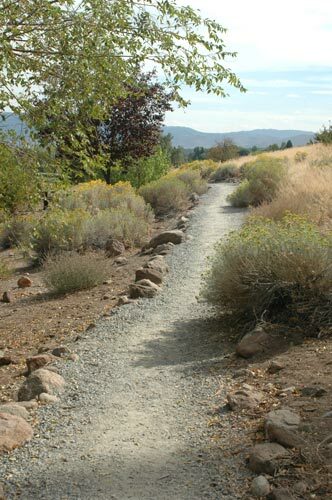 The trails are accessible through a convenient tunnel that travels below McCarran Blvd, with the Evans Creek Trail, Evans Canyon Loop, and a Nature Trail all extending into the base of the hills on the Northern side of the park. A quick guide for all of these trails and loop trails is shown here. I decided to make my own 5 mile route and incorporate pieces of the South Park Loop, Arboretrum Loop, Pasture Loop, Evans Creek Trail, and Evans Canyon Loop. I recommend running through at least a portion of the Arboretrum loop, especially in the summer time, as it is a very peaceful and beautiful part of the park to run through. It also feeds nicely into the Evans Creek trail that follows the tunnel under McCarran Blvd and north towards the Evans Canyon Loop. 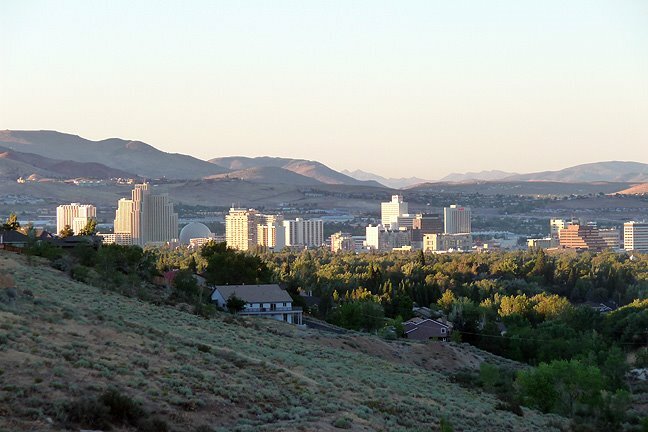 This part of the run is the more challenging area as there is a pretty steep grade up the hill, but once you get there, it is well worth it to see the view of the university and downtown Reno. I made it a little more interesting and ran all the way to the “N” too after running the entire Evans Canyon Loop trail. In the case that you really like this area, it is also the start of the Silver State 50/50, and half marathon course. I’ve run the half marathon race for this event in the past and I would highly recommend it if you like a challenging trail run with some good uphill and a fast downhill. It’s also the spot for the Great Reno Balloon Race! So you can get a run in AND see some baloons! (what? no way, baloons?). Here’s a little better view of what the park looks like when everything isn’t dead… It’s a beautiful area most of the time, but comparing a late dry winter run to the view you would get during normal spring or summer conditions is probably much better. What’s you favorite part of the park?